Actinic keratosis, also known as solar keratosis, is a dry, scaly patch of skin that presents as a result of chronic exposure to sunlight. Most people with the condition do not report significant symptoms, although the condition can progress to a type of skin cancer, squamous cell carcinoma, in severe cases without treatment. Already in 2013, the German Institute for Quality and Efficiency in Health Care examined in an early benefit assessment whether ingenol mebutate offers greater benefit than the appropriate comparator therapy for patients with actinic keratosis. French scientists at ‘Texinov Medical Textiles’, have developed a knitted laser fabric that blasts the skin with light, giving treatment to inflamed skin or lesions over a 2 and a half hour appointment. New results from a clinical trial involving more than 900 military veterans at high risk for keratinocyte carcinoma skin cancer provides evidence that using the generic skin cream fluorouacil 5 percent for two to four weeks may reduce the risk of a squamous cell carcinoma (SCC) needing surgery by 75 percent within a year. UV radiation has been known for a long time to be a risk factor for the development of skin cancer. Simultaneous infection with human papillomaviruses (HPV) has also been suspected to promote skin cancer, particularly in organ transplant recipients. 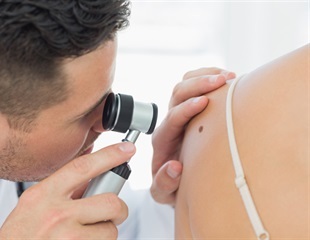 A combination of two FDA-approved drugs - a topical chemotherapy and an immune-system-activating compound - was able to rapidly clear actinic keratosis lesions from patients participating in a clinical trial. A combination of two topical drugs that have been in use for years triggers a robust immune response against precancerous skin lesions, according to a new study. The research, from Washington University School of Medicine in St. Louis and Harvard Medical School, shows that the therapy activates the immune system's T cells, which then attack the abnormal skin cells. There are more and more examples of the ways in which we can benefit from our bacteria. According to researcher Rolf Lood from Lund University in Sweden, this is true for the skin as well. Cipher Pharmaceuticals Inc. today announced it has strengthened its Canadian dermatology portfolio by acquiring the Canadian rights to Vaniqa and Actikerall from Almirall S. A., a Spanish pharmaceutical company. Both products have been approved by Health Canada. Kinex Pharmaceuticals announced the receipt of an allowance by the US FDA for the Company's KX2-391 Ointment for the commencement of a Phase I clinical study in actinic keratosis. This is the Company's third IND to be allowed by the US FDA in the past 12 months. BioLineRx, a clinical-stage biopharmaceutical company dedicated to identifying, in-licensing and developing promising therapeutic candidates, today reported its financial results for first quarter ended March 31, 2014. PhotoMedex, Inc. reports financial results for the three months ended March 31, 2014 and announces LCA-Vision stockholder approval of PhotoMedex's previously announced acquisition of all outstanding shares of LCA-Vision, a leading provider of laser vision correction services under the LasikPlus brand. PhotoMedex, Inc. today announced financial results for the fourth quarter and full year ended December 31, 2013. BioLineRx, a clinical-stage biopharmaceutical company dedicated to identifying, in-licensing and developing promising therapeutic candidates, announced today that it has received approval from the German Federal Institute for Drugs and Medical Devices (BfArM) to commence a pivotal, CE Mark registration trial for BL-5010P, for the non-surgical removal of benign skin lesions. PhotoMedex, Inc. announced today the termination of the exclusive distribution agreement between its wholly-owned subsidiary Radiancy, Inc. and Ya-Man Ltd. for the Japanese market due to, among other things, disputed marketing expenses of approximately $1 million and the failure of Ya-Man to meet its minimum purchase obligations under the agreement. PhotoMedex, Inc. today reported financial results for the three and nine months ended September 30, 2013. Firstly, actinic keratosis (AK) is a common dermatological condition caused by cumulative exposure to the sun. Providing patients with effective treatment is very important, as AK can lead to forms of non-melanoma skin cancer (NMSC) if not diagnosed and treated early. In fact, two in three cases of squamous cell carcinoma (a common form of skin cancer), begin as AK. Over 90 per cent of physicians treating actinic keratosis (AK) prefer short duration treatment options with fast resolving local skin responses (LSRs), is the finding of a global study (‘Physician Perceptions and Experience of Current Treatment in Actinic Keratosis’) that is being presented today at the 22nd Congress of the European Academy of Dermatology and Venereology (EADV).